At long last, I can say I’ve played Devil May Cry V. Well, a part of it at least. Earlier today the multiplatform demo for the game dropped on Playstation 4 and Xbox One (sorry PC owners). 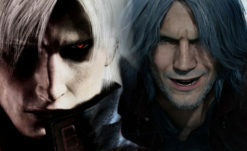 While it’s essentially the same gameplay featured in the previous Xbox-exclusive demo, this time Capcom has added a few improvements for players wanting to get a better look at the mechanics of Devil May Cry V.
The first and largest of these improvements is the ability to buy upgrade’s at Nico’s shop, which can carry over between playthroughs. It takes about 3 total playthroughs to unlock all abilities, but even then what’s available is slight and likely not representative of the full unlockable experience. One of Devil May Cry V‘s biggest changes to previous entries’ formula is Nero’s new Devil Breaker system. Instead of simply having a standard slam attack like in Devil May Cry 4, Nero now relies on pickups for different Devil Breakers that have unique attack sets associated with them. New to this multiplatform demo is the inclusion of Nero’s ‘Punch Line’ Devil Breaker, a rocket-powered fist that he can send to attack his foes independently, or actually ride around on. The problem is, the game doesn’t ever explain how to ride around on it, aside from digging around in the skill menu. 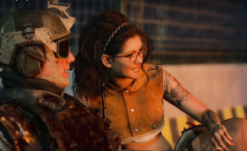 So let’s talk about how to ride it, and what other cool stuff Nero can do on it. To ride the Punch Line, make sure it’s equipped and press the Devil Breaker button (Circle on PS4, ‘B’ on Xbox). It should launch to the nearest enemy, so when it does just call it back with the same button. As it’s coming back, be sure to press and hold down the button one more time, and Nero will jump on it as it comes his way. Voila! Once you’re riding high, you can press the default sword attack button (Triangle on Playstation 4/’Y’ on Xbox) to do a kick flip, damaging any enemies in your path. 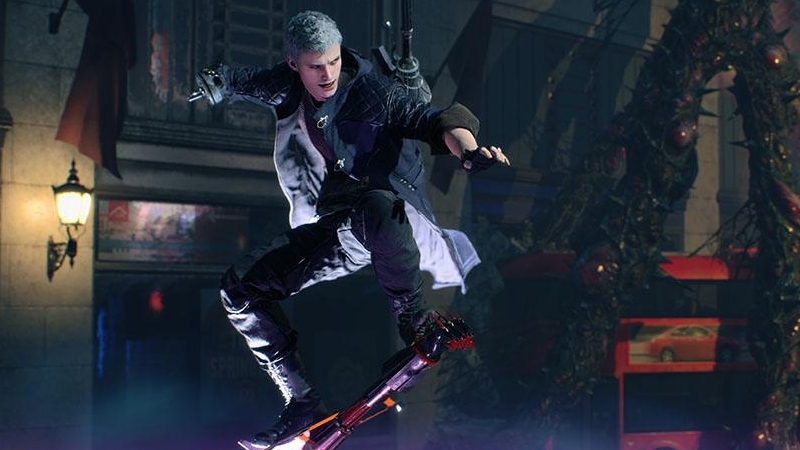 Pressing the gun attack button (Square on Playstation 4/’X’ on Xbox) will launch a radial spin that damages any enemies caught inside, and pressing the Devil Breaker button while riding will cause Nero to gain altitude. Finally, Nero can dismount pressing the jump button, and the Punch Line will go back to pummeling whatever target is nearby until Nero calls it back. Alternating between riding and dismounting to slice enemies with sword attacks is a great way to get that style ranking up, making the Punch Line an essential tool for any player looking to get those sweet S ranks. 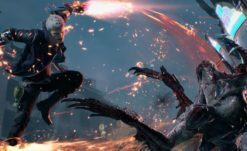 Devil May Cry V launches March 8, 2019 on Playstation 4, Xbox One, and PC. Stay tuned here for more news, reviews, and guides for Devil May Cry V.